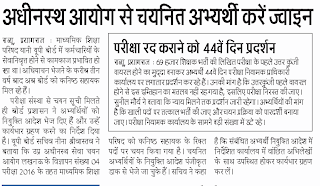 UP Rojgar Samachar Latest News 2019, Anganwadi Salary news 21 February, Laptop Scheme CM Yogi, VDO Bharti Latest news, 69,000 Assistant Teacher Joining Letter, LT Grade Result and its answer key. Joining Letter Send by Post office only here you will check UPSSSC, 69,000 4688 Joining Letter Appointment Date, 41520 Niyukti Patra, 49568 Joining Letter. so the question is why government sent joining letter by India Post office only: From my personal opinion joining letter by india posts is proof of department where you are going to become employee. 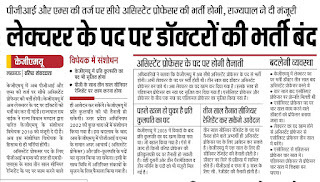 KGMU Assistant Professor Recruitment 2019 KGMU Organisation is going to fill Assistant Professor, Lecturer, Doctor posts with more than 1,000 upcoming vacancies. 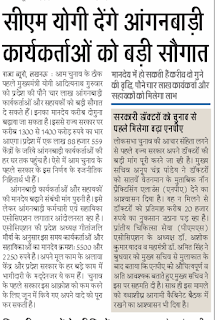 UP Government has given approval to appoint KGMU Professor Recruitment for those aspirant who have good experience and given service more than 3 years. So here we are summarising some of important points that issued by KGMU Recruitment authority 2019.